If you have any ideas for fundraisers, please share them with us. For More Information about Fundraisers call (618) 235-9392 or email us at learningcenter@sril092.com. I found this graphic at http://bestpets.biz/fish-fry. 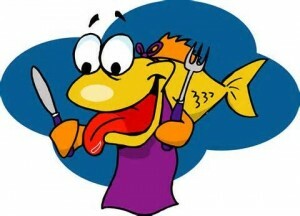 Fish Fries ~ The Scottish Rite hold Fish Fries on the 3rd Friday of every month (and every Friday during Lenten Season). In addition to the best fried fish in Belleville, you can purchase hamburgers, hot dogs, and/or shrimp. Often during the Fish Fries, you can purchase used books to support the center, and there will be other displays. We always advertise all of our events and display banners that have been purchased to support the center. Attend or Volunteer to Work Fundraising Events ~ The only way our fundraisers can be successful is with your help. We can plan the best fundraisers but if we don’t have anyone show up, or if we don’t have enough people working the event. They will not be successful. And if you have a great idea for a fundraiser, please share it or consider coordinating it. Donate Office Supplies ~ We update this lists as new needs arise. We always need ink for our HP Envy 4520 printers. This is our current Donation Needs 2018-2019. 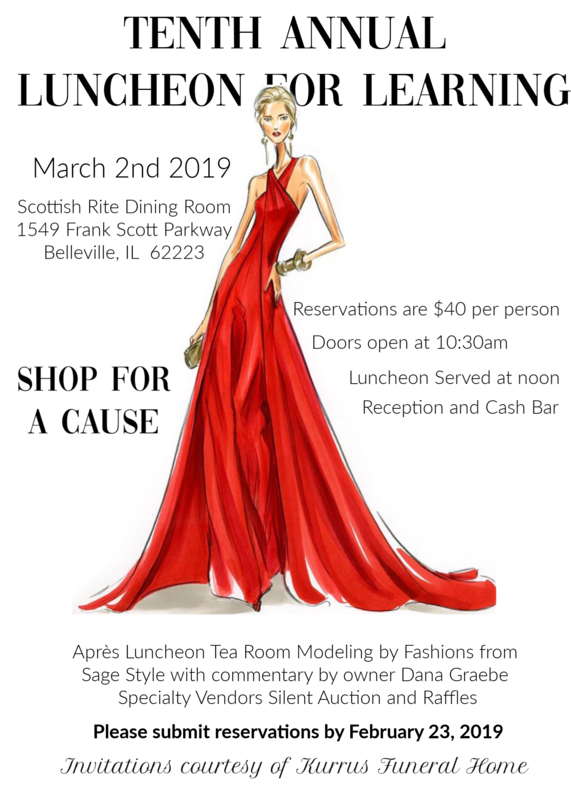 In addition to office supplies, we collect items for silent auction items, door prizes, and water/soft drinks which we sell in our center as a fundraiser which is 100% profit. Give the Gift of Reading ~ What do you give to someone who has everything? You can give the gift of reading by making a donation to the center. Fill out the Giving Brochure and we will do the rest. Recycle your Ink Cartridges ~ We have a Children’s Dyslexia Center – Southern Illinois board member who collects and recycles empty ink cartridges for us. The money from these are then used to purchase office supplies. Schnucks E-Script ~ If you shop for groceries at Schnucks stores, pick up an E-Script card, register it, and let the cashier scan it. A portion of your purchase will be donated to the center. Just register the card with the Children’s Dyslexia Center – Southern Illinois or the Masonic Learning Center of Belleville (previous name). Take a Chance ~ Sell and/or purchase chances. We hold drawings throughout the year. This usually occurs during an event and maybe as simple as a 50/50 drawing. Other times it will be a silent auction/raffle item that we have had donated to us. Testimonials – We are requesting parents and students to give written, oral, and/or video testimonials. We would like you also to consider sharing your testimony at fundraising events and/or when Board Members present to businesses that may sponsor the center. If you are willing to share your experience at the center, please let us know.